Are you in the mood for casual seafood? Whether you’re vacationing for the weekend or looking for a new spot to eat with friends, The Oyster Bar in St. Petersburg, FL, is the premier destination for both visitors and locals. 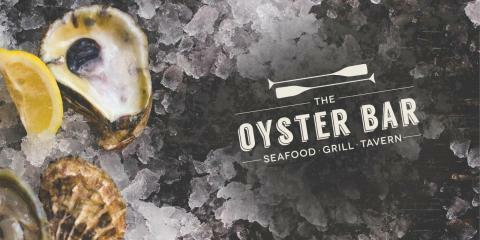 Backed by more than 20 years of experience, this trusted restaurant specializes in freshly shucked and baked oysters along with a host of quality meats and drink selections. You and your family will enjoy a pleasant atmosphere, personal attention, and locally sourced ingredients. Nestled in the heart of “The Sunshine City,” this one-of-a-kind restaurant and bar offers mouthwatering oysters from nearby boutiques and as far as the West Coast. With three-cheese jalapeno and parmesan herb-crusted options, you can feel free to customize your order to suit your unique tastes. They also prepare delicious lobster rolls, shrimp po’ boys, and crab cakes. If you’re an early riser, don’t miss out on this restaurant’s delicious brunch menu, featuring buttermilk doughnuts, creole scrambles, and shrimp and grits. Pair your meal with a bottomless mimosa or Bloody Mary while savoring the flavors of the Gulf Coast. You can also count on these talented chefs to utilize fresh produce, meats, and spices to create a truly wonderful blend of culinary excellence. When deciding on the right combination of seafood, mixed drinks, and relaxing environment, look no further than The Oyster Bar. Committed to exceeding your expectations, this devoted team is waiting to serve you. Call them today at (727) 897-9728 or visit them online for a full list of menu options.